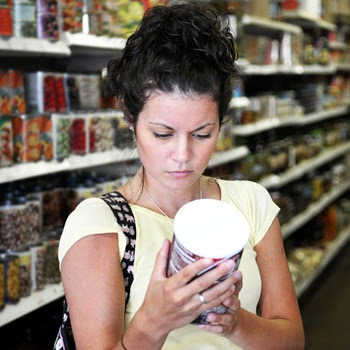 Reading nutrition labels is the first line of defense against caloric catastrophe. Photo courtesy of FDA. ARE you standing there scratching your heading wondering where your calories come from these days? Hmmm, you’re really not sure are you? Clearly, the majority of foods consumed by Americans are processed carbs, the primary source of weight and health problems. The opportunity to change starts with you. Yes –YOU! Being mindful of daily food consumption is key to achieving long-term optimal wellness. Did you know that your thoughts, feelings and actions are all connected to creating new behaviors? Having a healthy mind supports a healthy body. Therefore, putting healthy foods into your body daily and being mindful about it increases the activity of dendrites in the brain. They reinforce the pathways for new, positive behaviors. The more often healthy behaviors are practiced, the more the brain reacts to them. This is classical conditioning or the Pavlov’s Dog theory that every college freshman learns in Psych 101. Ready to create new positive, healthy and long-term behaviors? … More shortly.